You're ready to make the commitment into expanding your home, and have a lot of space to play with, but which project is right for your home? Like many homeowners, you might not just be considering extra square feet, but also the value your project will bring to your home. Homeowners in the UK could add up to £100,000 + to the value of their home by converting their loft, if they open up 24 square metres of new space in their property. Now, not all loft conversions are created equal. The value your conversion adds will differ depending on where your property is based, as our graph shows. Homes in the North East will see up to £38,000 in new value, while down in the South East, the same amount of space would bring in nearly £98,000. However, it's worth noting that this value will decrease in the South East, depending on transport links to London. The better connected you are to the capital, the bigger your property returns. No surprise, London boasts the biggest price increase. Space is at a premium within the capital, meaning another bedroom with en-suite could add up to a amazing £200,000 to your property in high-value areas. To ensure you have enough headroom, you’ll have to check how steep your pitched roof is. An architect will be able to advise whether or not your project will have the height needed to go ahead. You can also consider lowering ceilings to maximise the heights or creating a step in the new loft floor design. If you don’t already have them, you’ll have to consider how much space you’ll lose on the lower level for a staircase to your loft. Loft conversions can fall within your permitted development rights, meaning you might not need planning permission. Having an architect on board will ensure you meet requirements to qualify, while also advising on how to unlock the maximum potential from your loft. Beware of ceiling prices. In some areas, no matter how much you renovate and extend, you’ll never increase the property’s value after a certain point. Your home will only ever be worth the same as those around you, so there’s no point wasting your money if profit is your goal. Does a conversion or extension add more value to a house? The results are in and it’s the loft conversion that offers the greatest added value. When it comes to added value, space is space. No matter where you create it. However, if you’re trying to remodel your home within your permitted development rights, you’ll be able to create more room with a loft conversion. That’s because you’re limited in how far you can extend when you build either in the rear, or to the side. Value is also determined by what you’re creating with your extension. 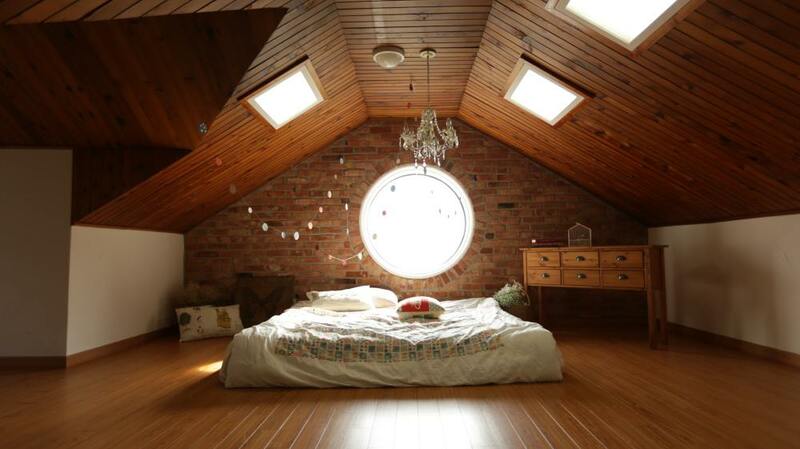 Loft conversions tend to be adding a whole new room – bedroom, study, en-suite. While many use rear or side extensions to expand existing function spaces, such as a kitchen or dining space. Convert your garage – like a loft conversion, you can add new rooms to your property, and could be done without planning permission. Renovate your rooms – open plan living is a trend that doesn’t seem to be going anywhere, so give your home a makeover by knocking down some walls, and opening up your living and kitchen areas. Update your kitchen – even a basic makeover, such as replacing your fixtures and fittings, can have an impact on your home’s value. All at minimal cost to you. Add a conservatory – If a full extension feels out of your price range, a conservatory can be a wonderful alternative. Because they’re constructed off-site, they’re cheaper and don’t impact too much on your home life. Just make sure you invest in your glazing so you don’t end up freezing in Winter and boiling in Summer. Want to know how much value you could add to your property? Our valuation tool will calculate what your home could be worth with either a loft conversion or extension. Meaning you don’t have to do the sums.